Boris Diaw has officially worn out his welcome. With the loss of Kwame Brown, Diaw began the season as the starting center. To his credit, he played like a man possessed in the first three games, posting a 11.7-11-7.7 line. He even showed up big in the two games at Madison Square Garden with a total of 46 points, 13 boards, and 13 assists on 74% shooting. But the rest of the games have been downright ugly. 4.8 points. 5.1 rebounds. 2.3 assists. 30% shooting, including 13% from beyond the arc, and just six free throws in eleven games. It doesn’t even look like he’s trying very hard. But this is Boris “The Enigma” Diaw we’re talking about; the big man who doesn’t dunk has never been predictable. Then again, he’s predictable in one way: he’s got a bit of Baron Davis in him. If he’s in a losing environment, he’s huddle into his shell. But if he’s playing in an important game—say against a former team like Atlanta or former coach like Mike D’Antoni—he plays above and beyond his normal abilities. Normally, an enigmatic big man would be no problem for a bad team. Even at $9 million it wouldn’t normally be a big deal. But he’s eating up valuable minutes that Mullens, Bismack Biyombo, D.J. White, and Tyrus Thomas could really use. Now, none of those four are spectacular, but all four need playing time to grow and mature. Diaw is in the final year of his contract, but it’s more than apparent now that he needs to be moved before the season ends. There is, however, one major issue when it comes to trading Boris Diaw: the $9 million pricetag on his head. Most contenders don’t have that much cap room just lying around, so they have to ship off another big contract to take on Diaw. Not only that, but among players making around $9 million per year, most are either a) worth about $9 million, and wouldn’t be in a trade for Boris Diaw or b) have multiple years left on their contract, which the Bobcats don’t want to take on. With that in mind, there are a handful of teams interested in Diaw. They are going to be a contender with a need for a big body off the bench. The Knicks, Celtics and Lakers would all fit that mold, but none of them have any cap room—unless they’re willing to move Tyson Chandler and Kevin Garnett, or get someone inebriated enough to take on Metta World Peace. In other words, it’s not going to happen. There are two realistic types of trades that will set Boris Diaw free from the temptations of Carolina Barbeque: a straight salary dump for a draft pick or swapping contracts in return for a young player. Let’s take a look at each possibility. I’d like to think that around the trade deadline, some contender will get desperate. Maybe one of their bigs goes down, so they offer the Bobcats a late-first round pick for Diaw’s expiring contract. But that’s not happening. Again, the Lakers would have been a great fit once Andrew Bynum inevitably goes down with a knee injury, but they’re nearly $30 million over the cap. Realistically, no one will offer a late first for Diaw, and nobody picking at the top-half of the second round will want an aging, expensive forward. So the Bobcats will be looking at a late-second round pick. Joy. In my opinion, swapping contracts is a much more realistic, even productive, way to try and trade Diaw. Think the Nazr Mohammed trade that landed Morris Peterson and D.J. White. Unfortunately, there aren’t too many matches. Memphis was a good match—O.J. Mayo would’ve been a sweet return—until they acquired Marreese Speights. Denver would also be a good fit, too, but the only contract the Bobcats would conceivably take back would be Andre Miller, who the Nuggets wouldn’t want to move for Diaw if they had to give up someone like Jordan Hamilton. In the end, I only found one team that was a good trade partner Boris Diaw: the Los Angeles Clippers. After Blake Griffin and DeAndre Jordan, their best big man is Brian Cook. Yes, that very same Brian Cook whose career highlight is being traded for Trevor Ariza. Los Angeles has the cap space to take him on, provided they can find a new home for Mo Williams. From Charlotte’s prospective, they’re going to lose Diaw at the end of the year, so anything they can get in return for him is a plus. Xavier Henry may not have lived up to his rookie expectations, but he didn’t get any burn last year—not so far off from Gerald Henderson’s rookie campaign. Randy Foye is not a major piece in the deal, he’s just a salary equalizer, he’ll depart through free agency next summer. This works out for the Clippers on two fronts: they get a very nice backup big man and an answer at shooting guard. Chauncey Billups won’t make it through the whole season at the 2, and he certainly won’t be able to guard the likes of Kobe Bryant and Manu Ginobili in the playoffs. Ariza is a prime perimeter defender. Plus, this allows Eric Bledsoe to finally get some extra PT. New Orleans finally finds a replacement for Chris Paul, plus salary relief from the nearly $22 million left on Trevor Ariza’s contract. Henry wasn’t playing, since he was buried behind Marco Belinelli and Eric Gordon on the depth chart, so that’s not a huge loss. What this comes down to is saving a bit of cash while figuring out the point guard situation. 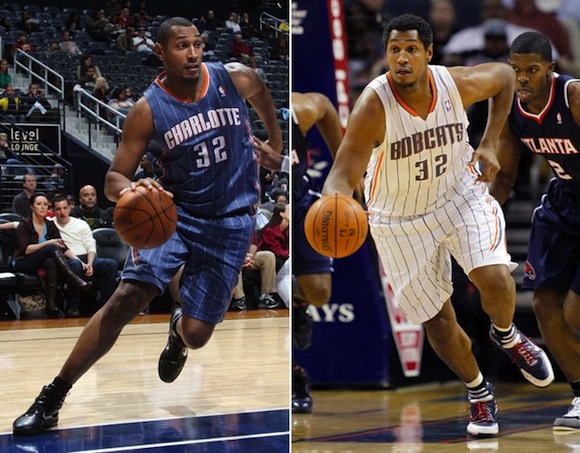 However the Bobcats deal with this Diaw Dilemna, it’s unlikely to end out great. The best they can hope for is to pick up a young player or draft pick—someone around the level of Henry may be the best they can do. That is, unless they are intent on trading D.J. Augustin before he hits restricted free agency, opening all kinds of possibilities. I’ll be pretty surprised if Boris Diaw ends the season a Bobcat. 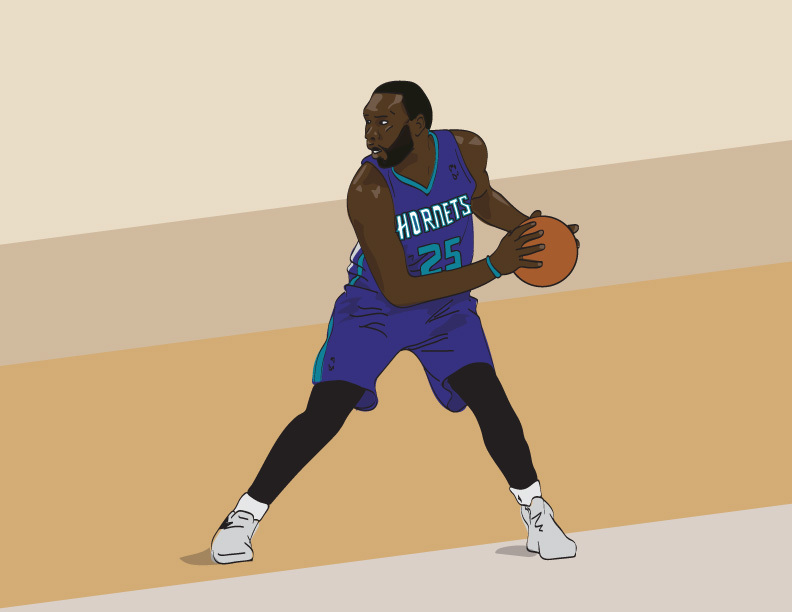 He can certainly help some contender as a 6th or 7th man; the only question is whether or not GM Rich Cho can find a big enough bite for a chubby, lackadaisical, finesse forward.